Still River Antiques is the only authorized restorer of Hitchcock Furniture. Based out of the Hitchcock Factory in Riverton, we specialize in the repair and restoration of Hitchcock pieces. Using the same stencils, materials, and parts as are used in making new pieces, our expert restorers bring your older and well-loved Hitchcock pieces back to as close to factory quality as possible. In addition to Hitchcock, our restorers appreciate quality furniture of all sorts, just like you do. We have plenty of experience restoring other manufacturers pieces, and will happily work on your quality goods from any manufacturer. Along with our restoration services, Still River Antiques also operates as the used furniture division of The Hitchcock Chair Company. If new Hitchcock isn’t quite in your budget, check through our selection of restored and used pieces. Also find pieces from through the history of the company – discontinued, limited run, and just plain interesting furniture. 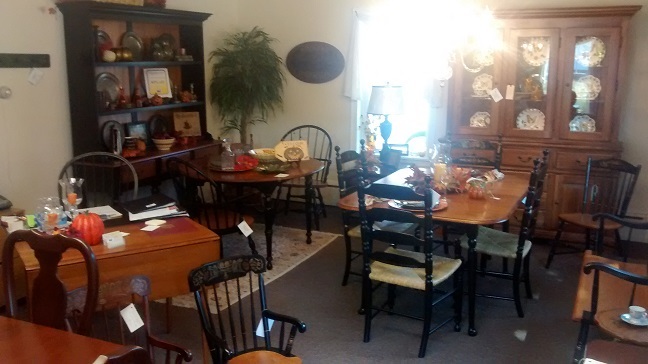 Check out what we’ve got listed in Inventory or come visit us in Riverton.